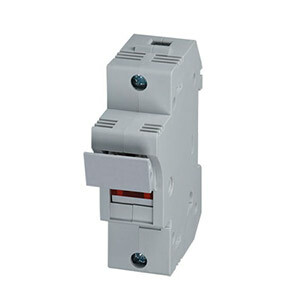 The ASK Series of DIN rail mounted fuse holders provides circuit protection for any industrial control system. Two standard fuse styles are supported: 14x51 mm (ASK 6) and 10x38 mm (ASK 4). Single pole, double pole, and 3 pole models are available, with or without blown fuse indicator lights. Fuses can be purchased separately (see accessories chart below). NEMA Type 3R & 12 Free-Standing Two-Door Single-Access Indoor/Outdoor Electrical Enclosures - Sizes from 60x24 to 90x72"